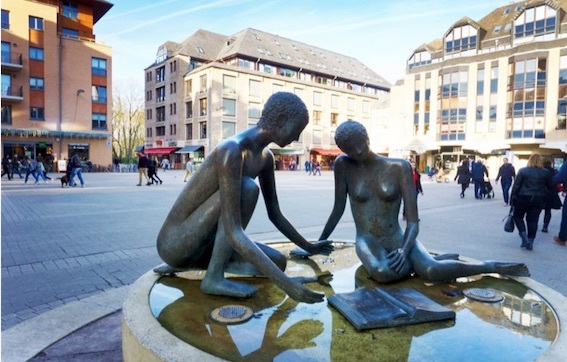 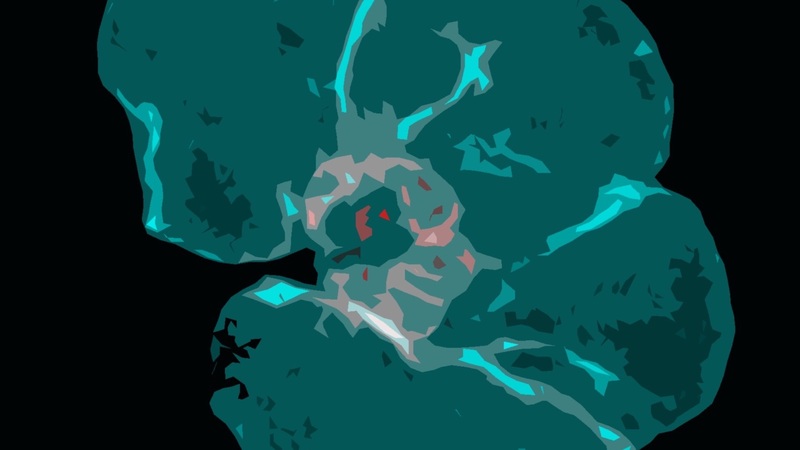 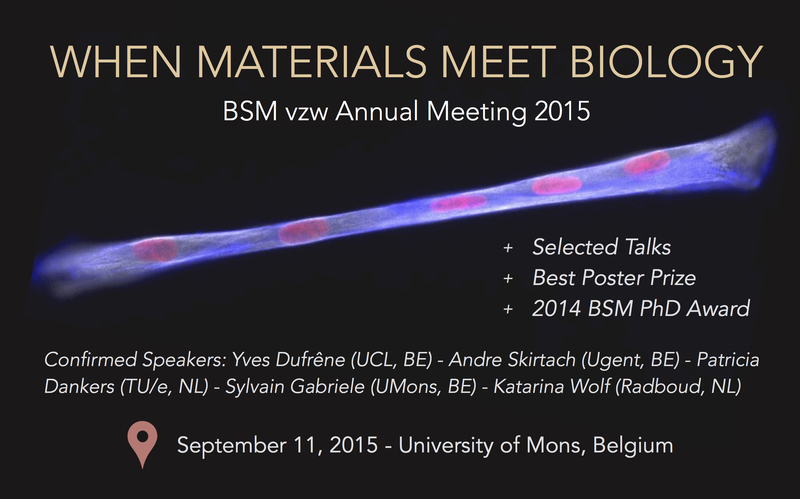 On September 9th, RBSM organises a focused symposium on quantitative microscopy in Louvain-la-Neuve. 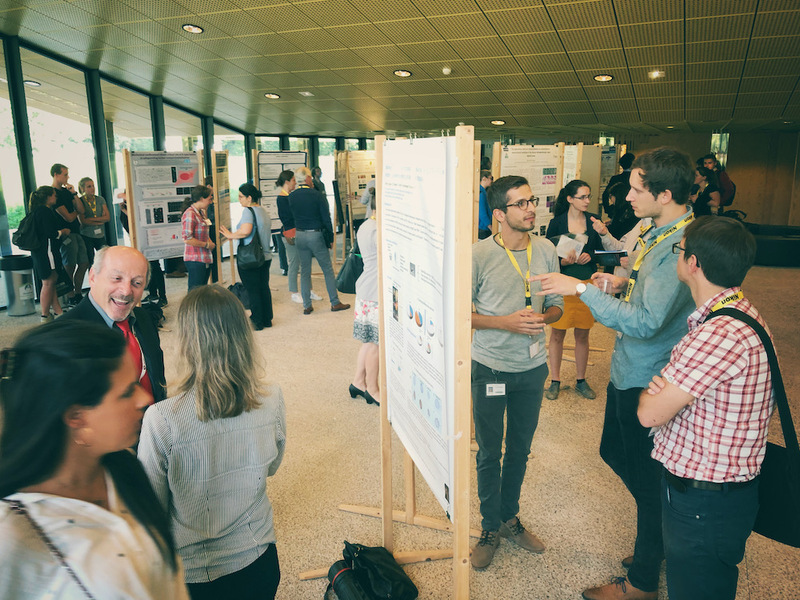 The meeting will be accompanied by an award session honouring Belgian PhD-students that have performed significant contributions to the microscopy field with their work. 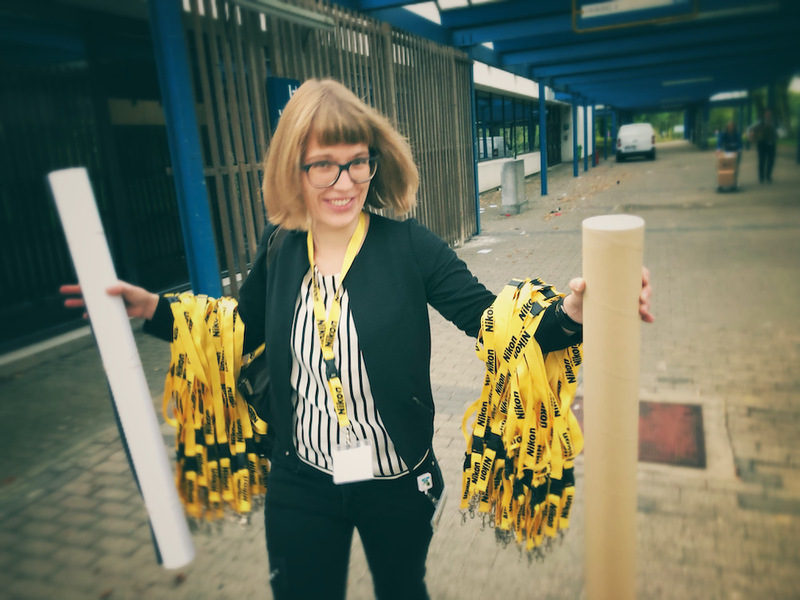 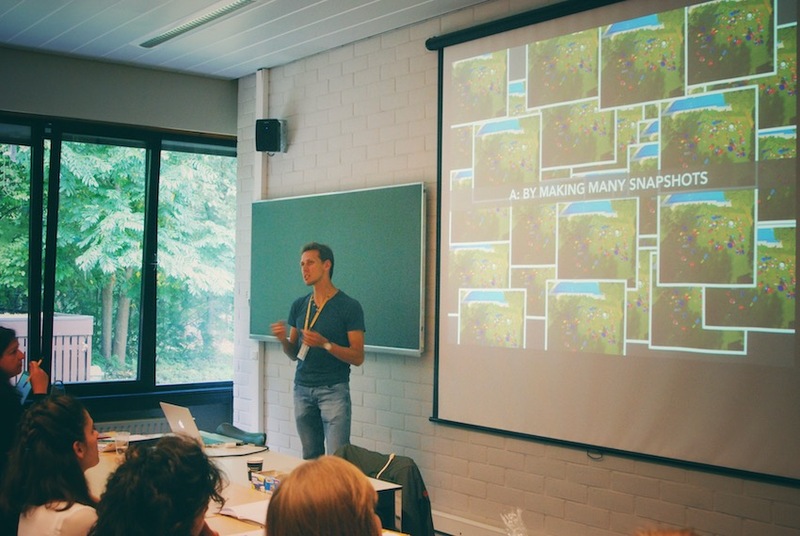 September 10-12 will be the second edition of the P2N workshop. 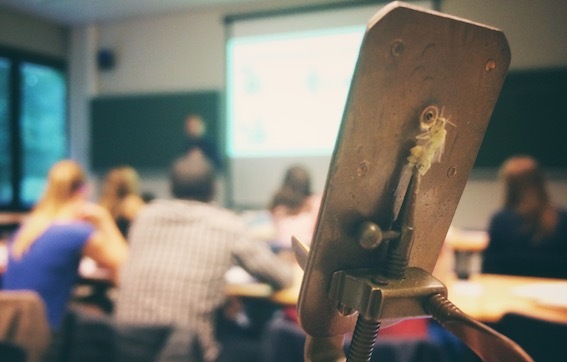 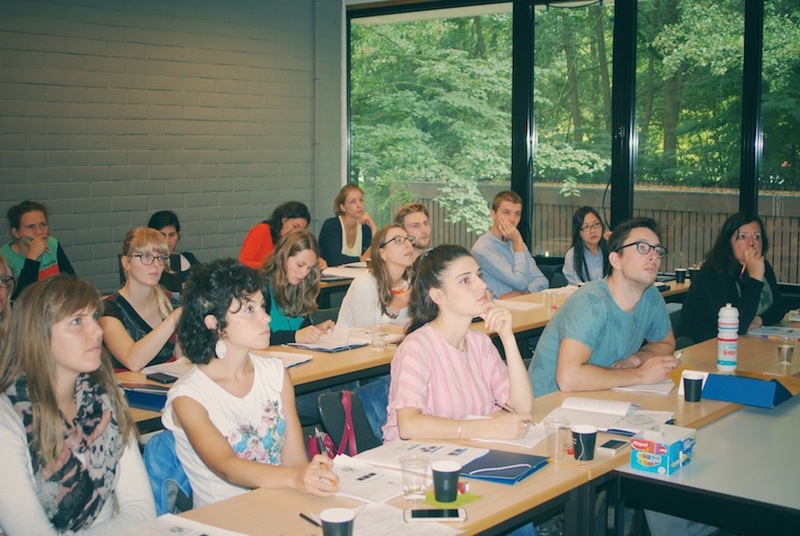 It is conceived as an inter-University course and a featured workshop of the INDEPTH COST Action. 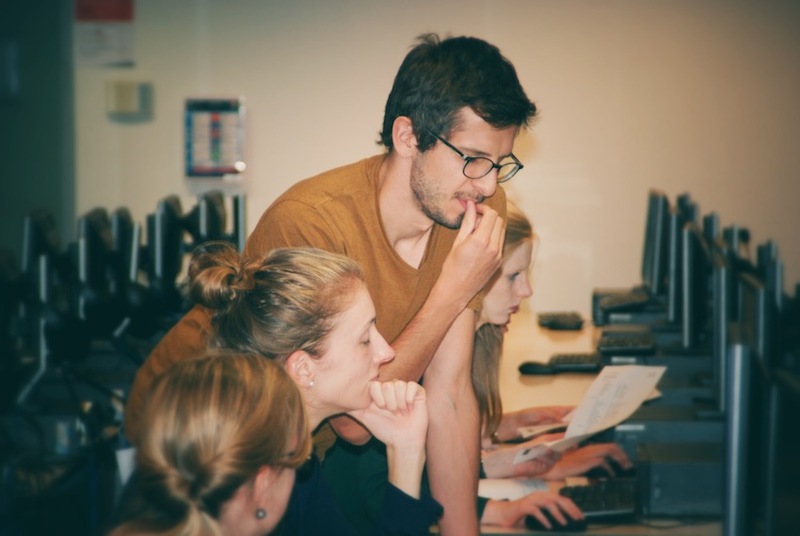 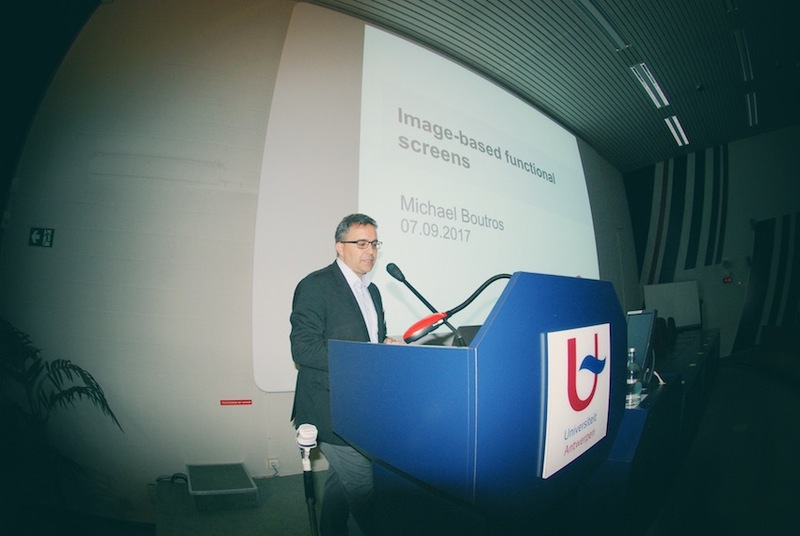 This year the focus is on bio-image informatics, and relies on a combination of tutorial lectures and guided image analysis exercises. 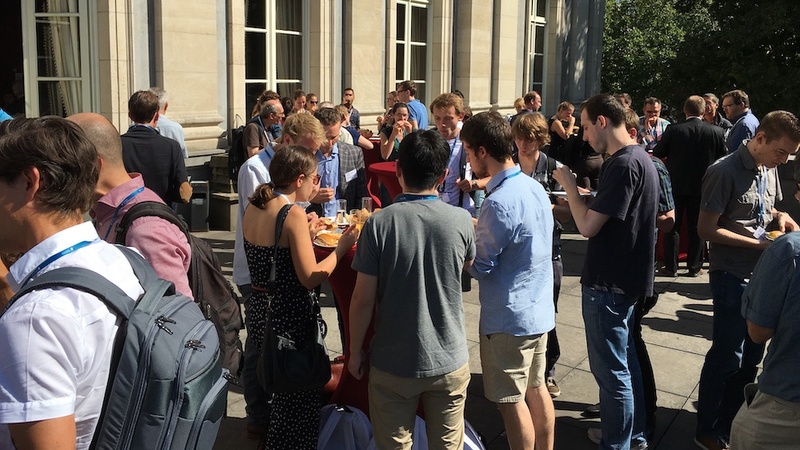 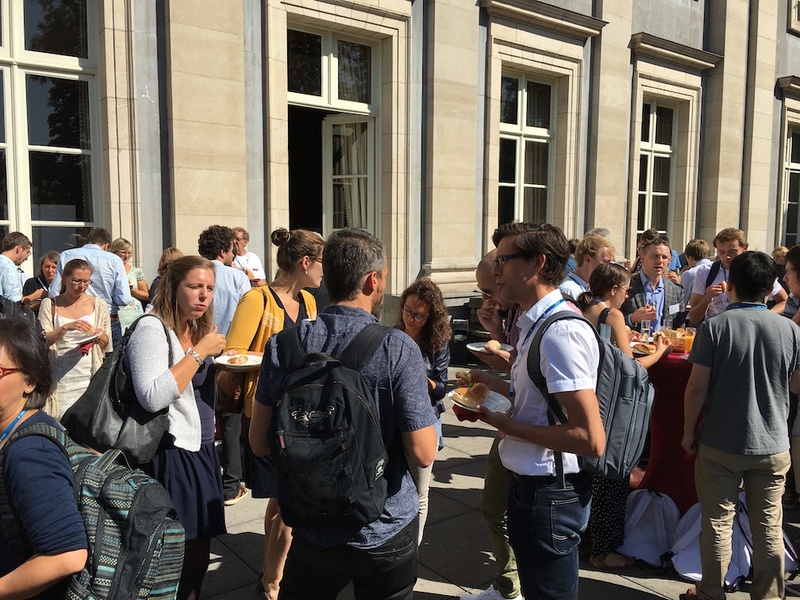 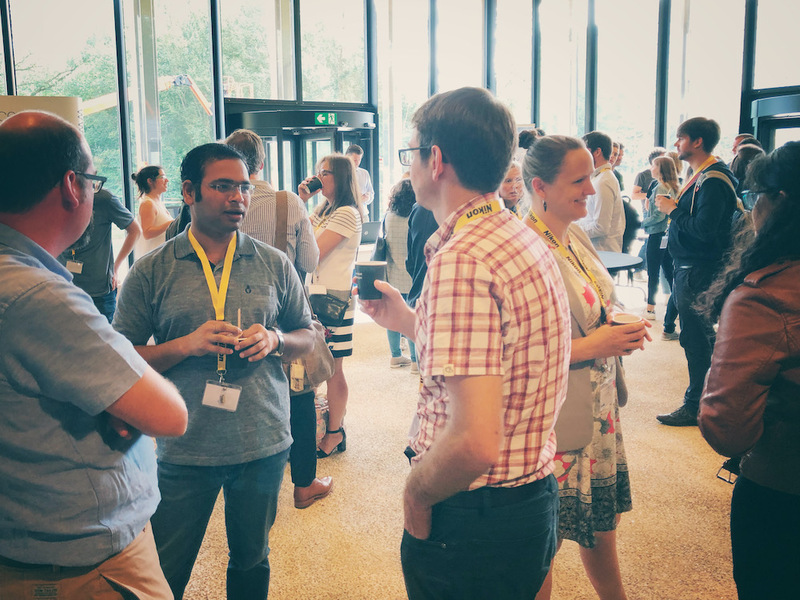 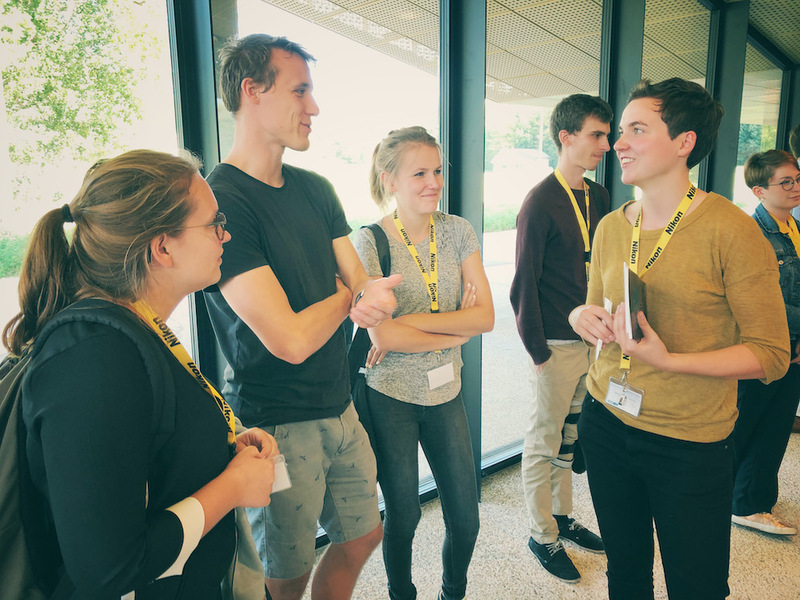 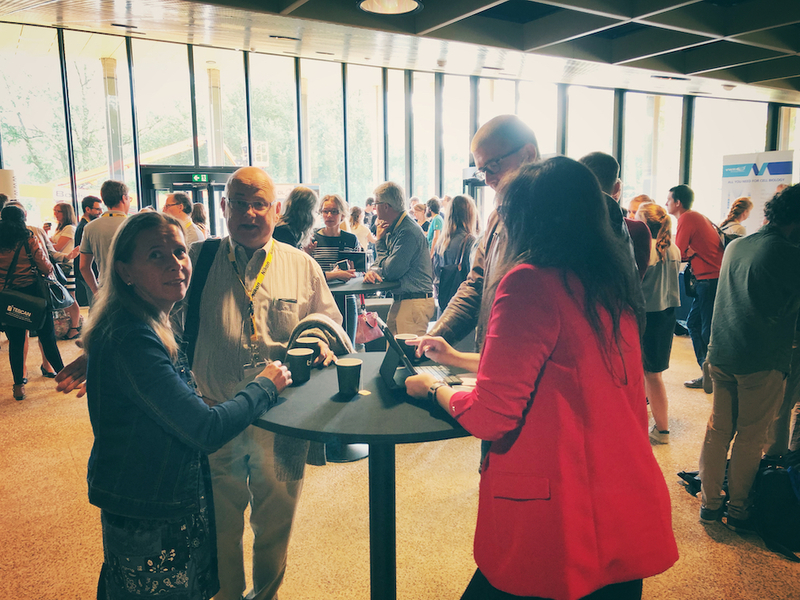 On September 20-21, 2018, RBSM and the Belgian Society for Cell and Developmental Biology (BSCDB) organised a joint meeting on “Cell and Tissue Mechanics in Physiology and Disease”. 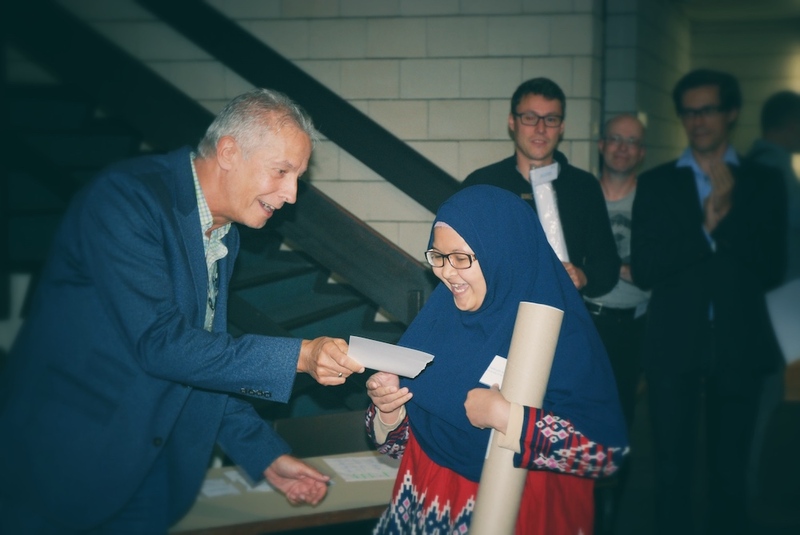 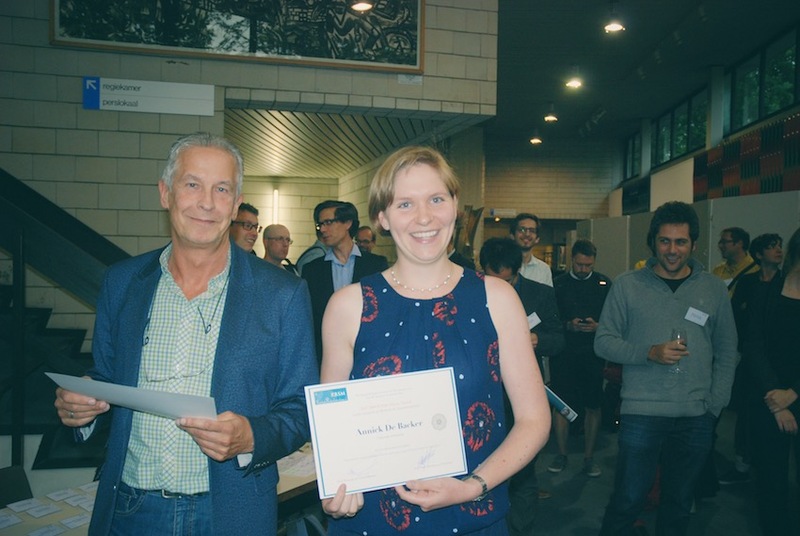 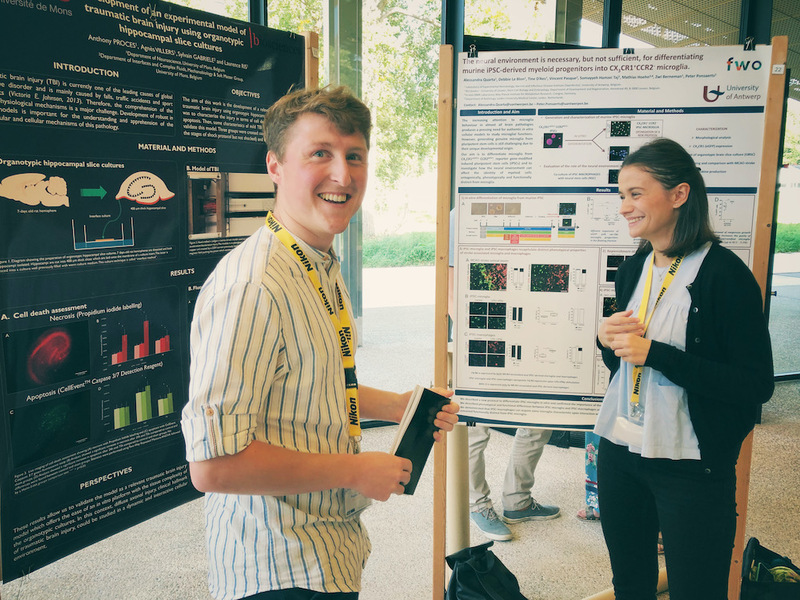 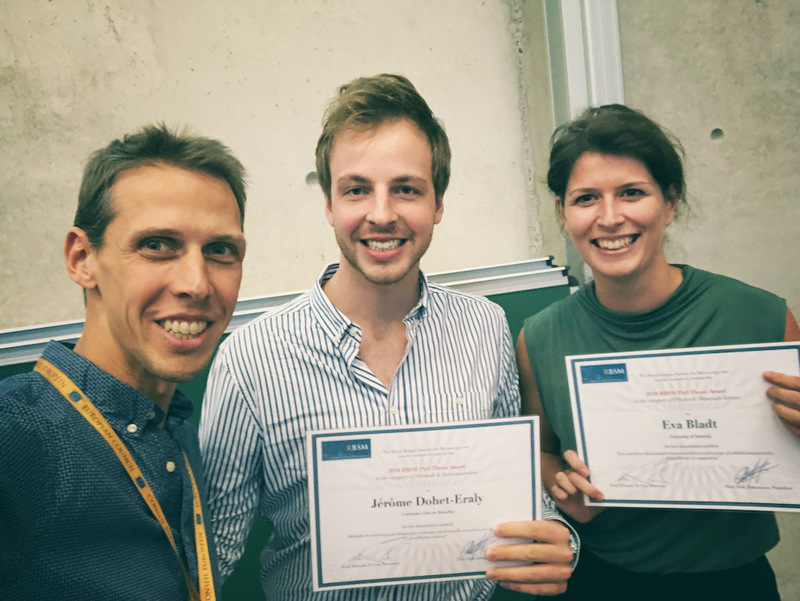 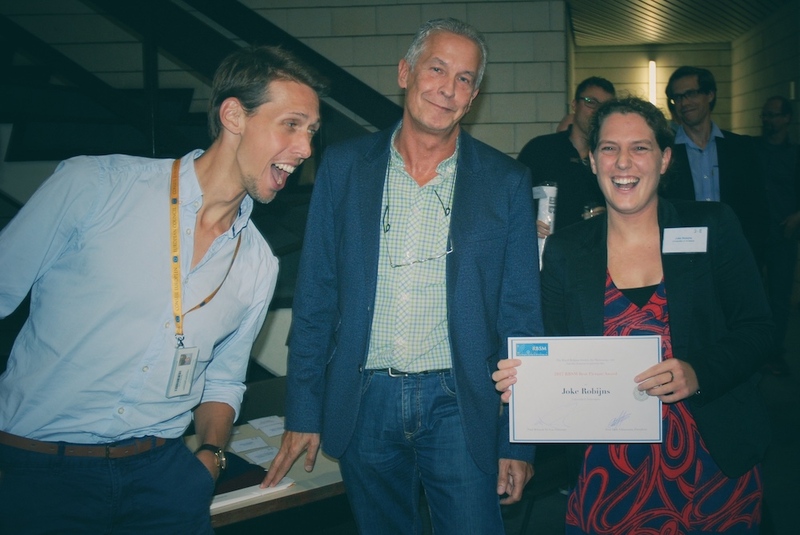 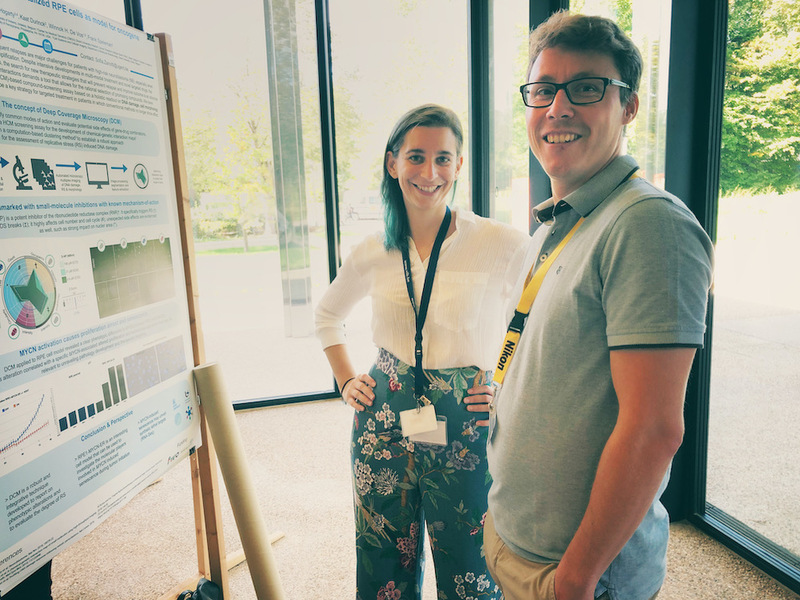 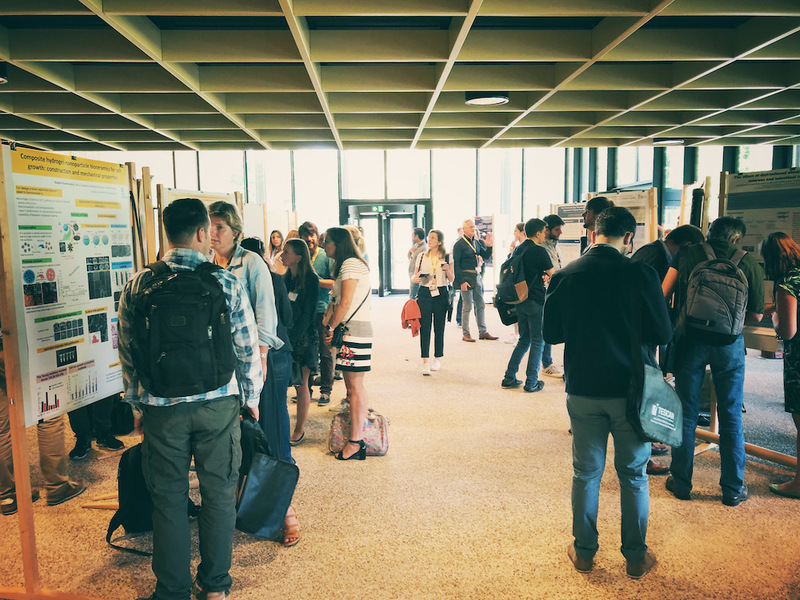 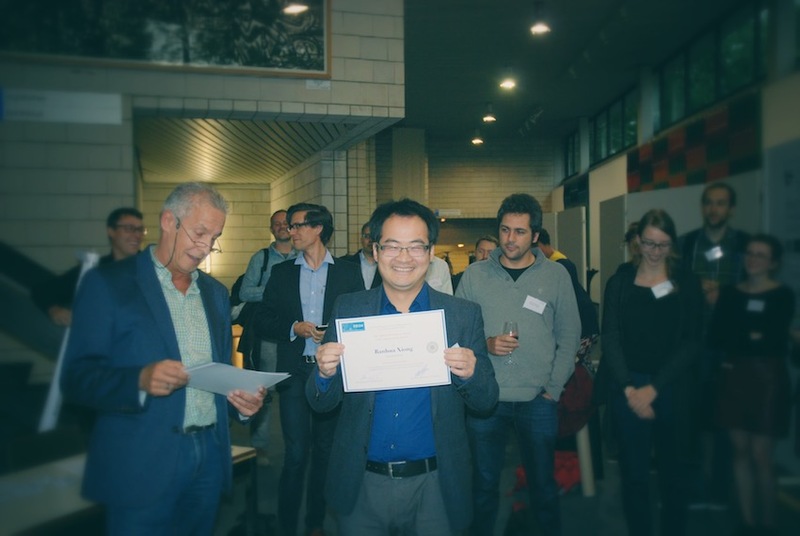 The meeting was held at the University of Antwerp, and was accompanied by a poster session and the best picture and BSCDB/RBSM PhD thesis awards. 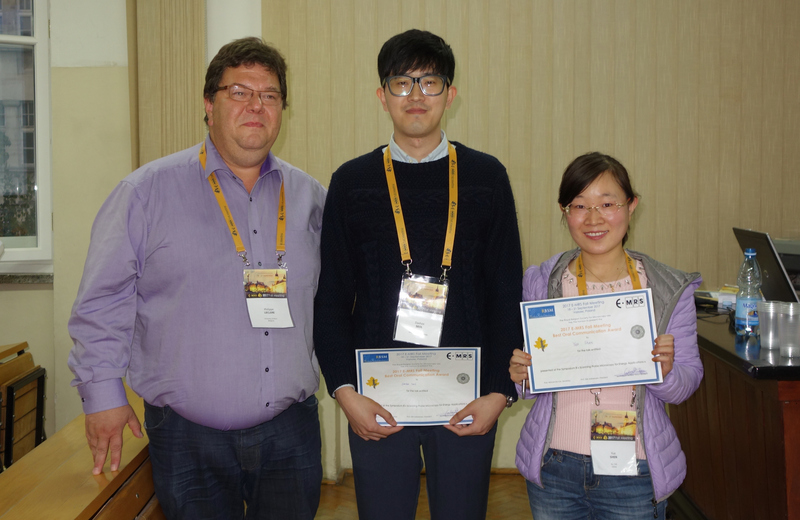 RBSM sponsored the European Materials Research Society (E-MRS) Fall Meeting 2017, Symposium B: Scanning Probe Microscopy for Energy Applications, held on September 18-21, 2017 in Varsaw (Poland). 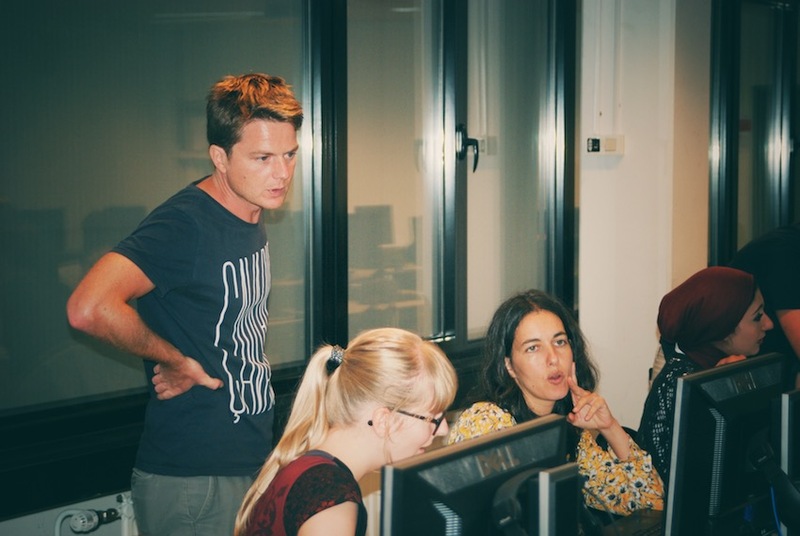 More details on the webpage. 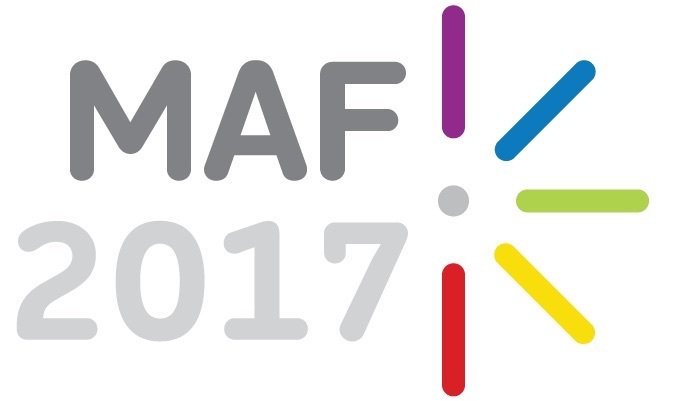 RBSM sponsored the 15th Conference on Methods and Applications in Fluorescence (MAF2017), which was organised in Bruges, Belgium, from September 10 to 13, 2017. 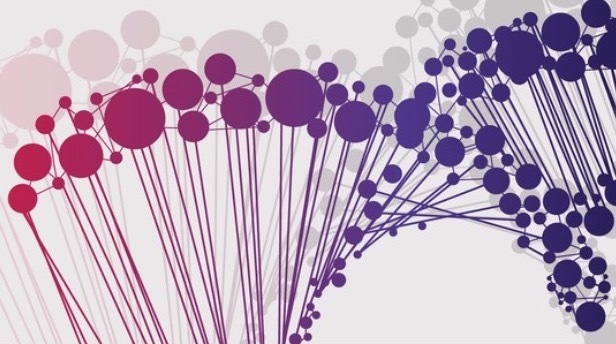 More details on the webpage. 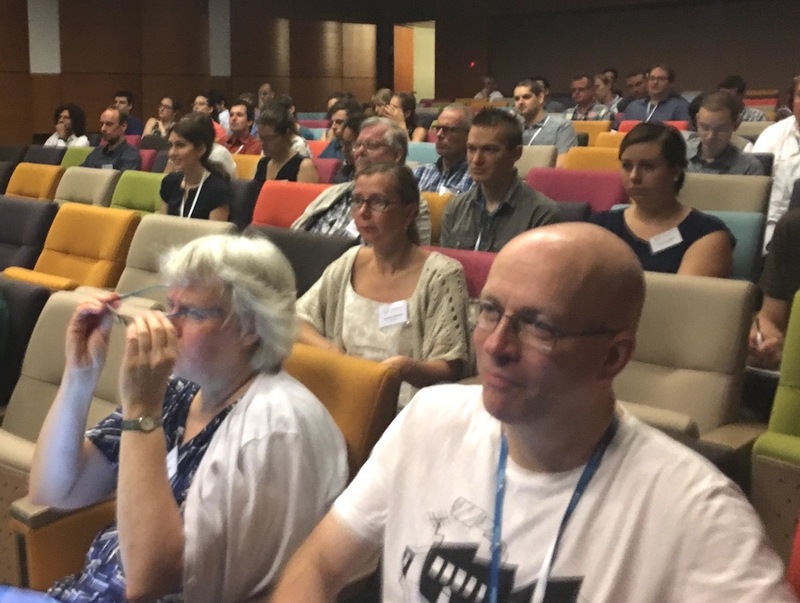 On September 7th, RBSM co-organised "From Pictures to Numbers", a focused symposium on high-dimensional fluorescence microscopy in Antwerp. 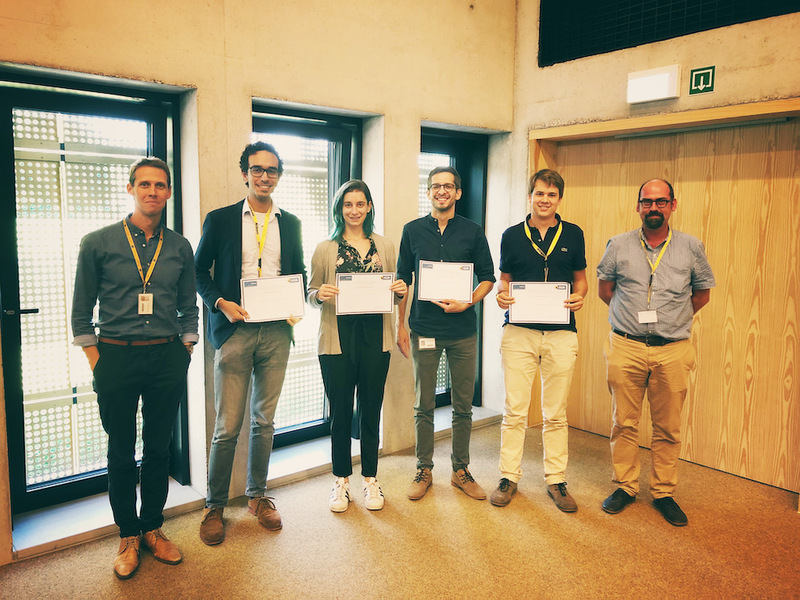 The symposium closed a 4-day inter-university course on quantitative fluorescence microscopy. 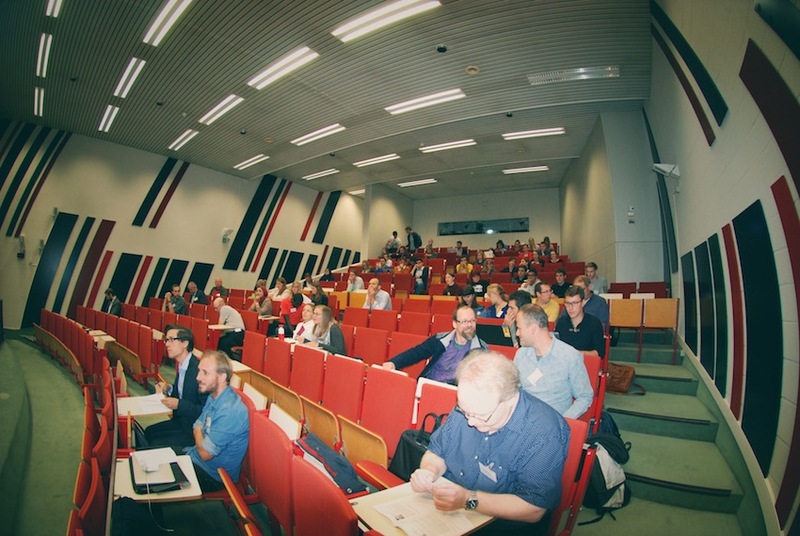 On March 23-24, 2017, the bi-annual Molecular Biology and Cytometry Course was held at Karel de Grote Hogeschool in Antwerp. 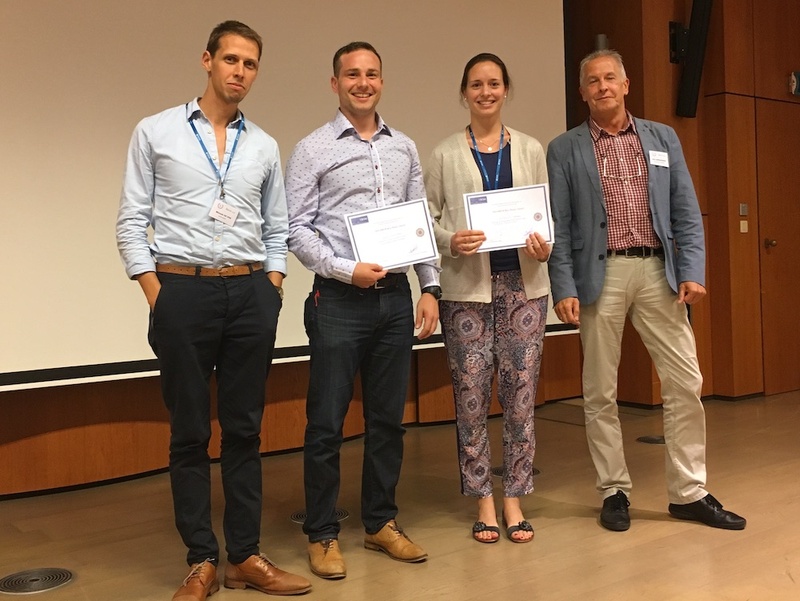 This initiative was co-organised by RBSM and was intended for all who work with molecular diagnostics, cytometry and microscopy in a clinical laboratory. 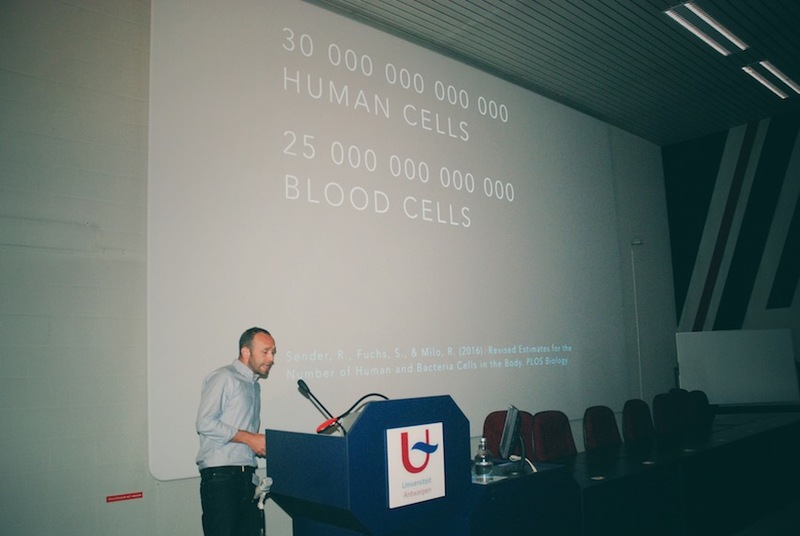 On September 8-9, 2016, RBSM celebrated its' 50th anniversary with a special annual event including top talks by internationally renowned speakers and an official session for the broad audience. 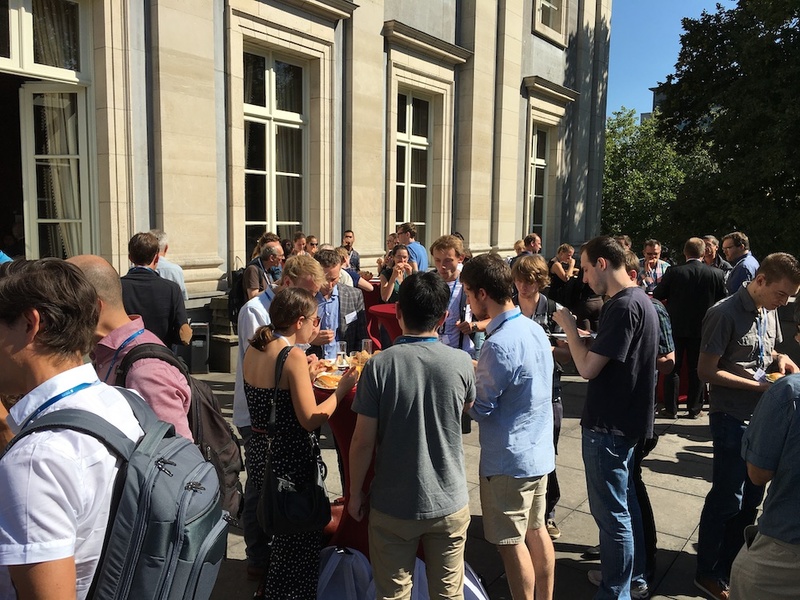 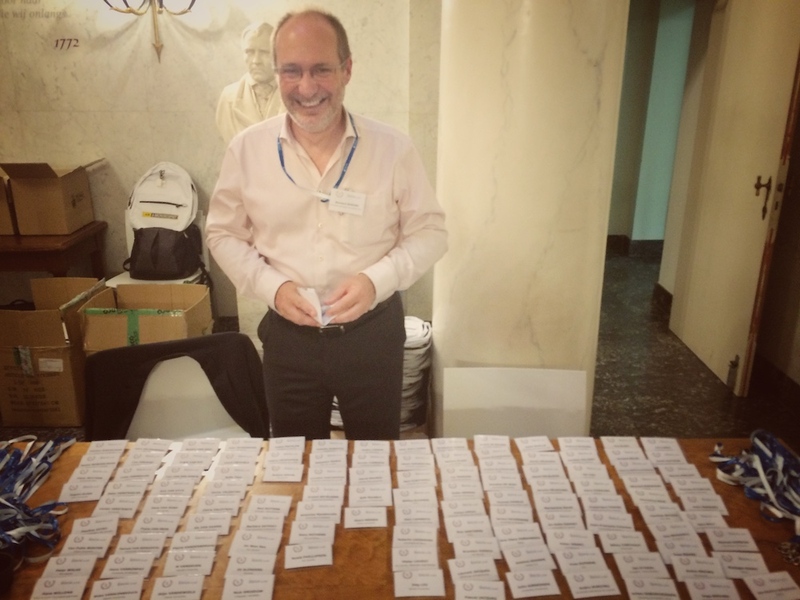 With over 120 participants and 11 sponsors, the Meeting was a big succes! 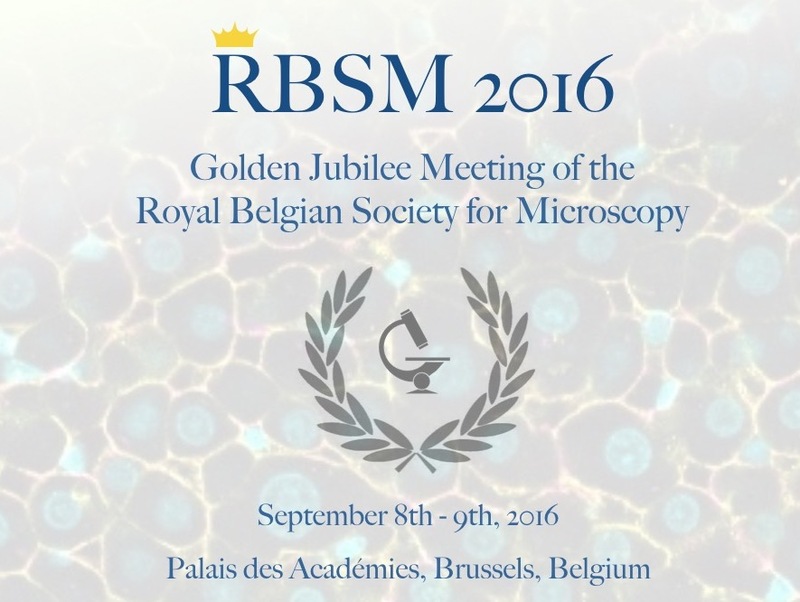 After an open call for proposals, a democratic voting round among all members and board discussions, RBSM has selected it's new logo. 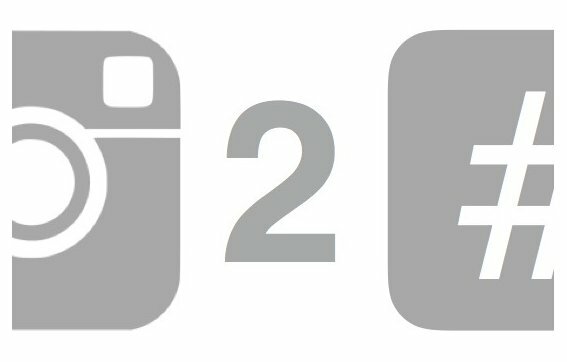 This logo will be used in all future communication. 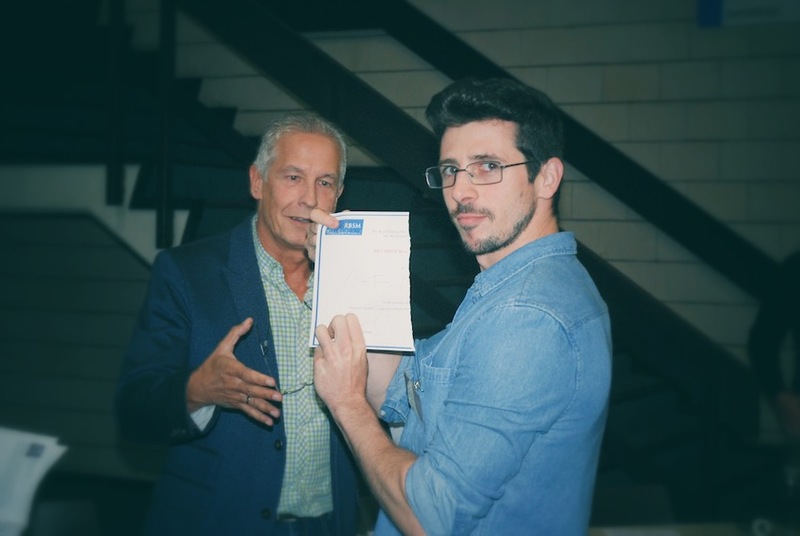 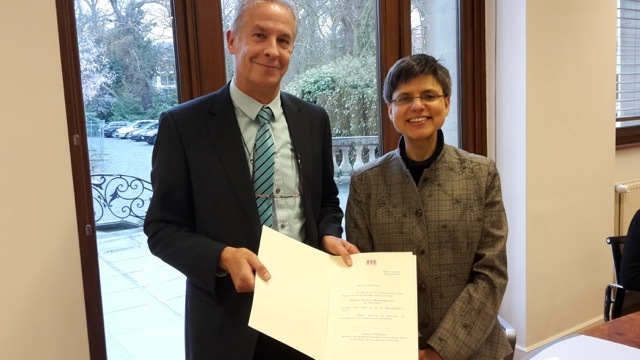 In 2016, our Society became officially recognised as a Royal Society, and received its Royal Charter from the governor of the province of Antwerp. 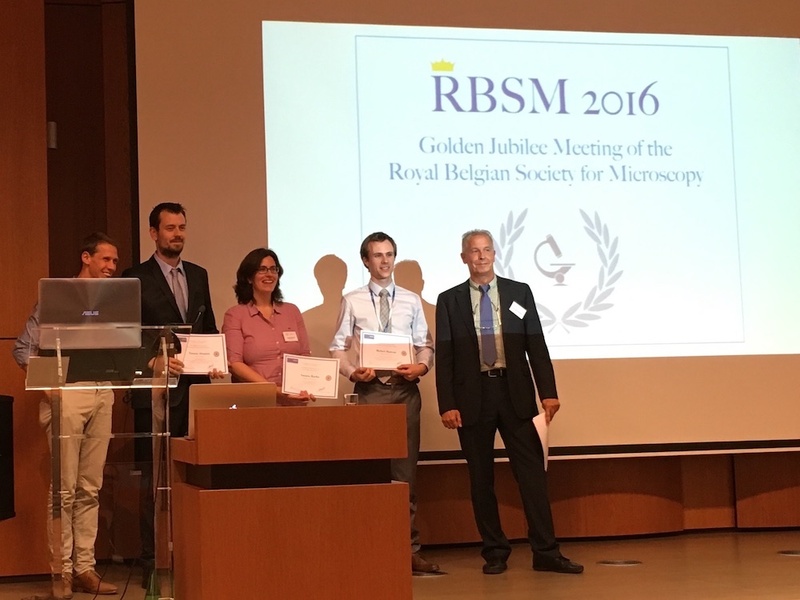 From now on, the society is known as the Royal Belgian Society for Microscopy or RBSM. 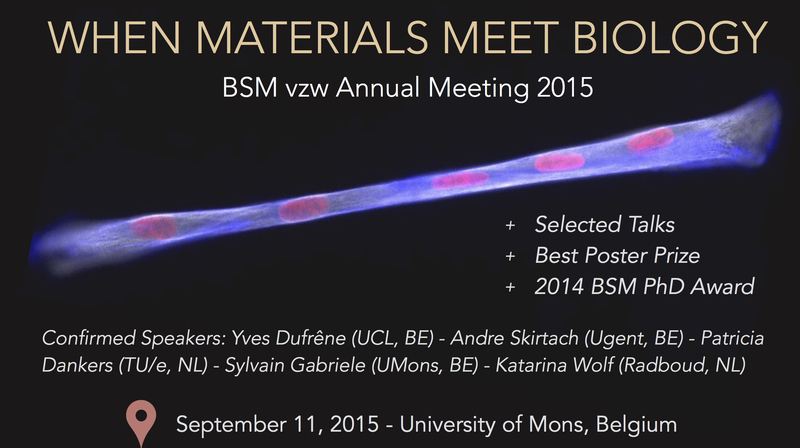 On September 11th, 2015, the BSM annual meeting was held in Mons, focusing on all facets of bio-material interactions (e.g. 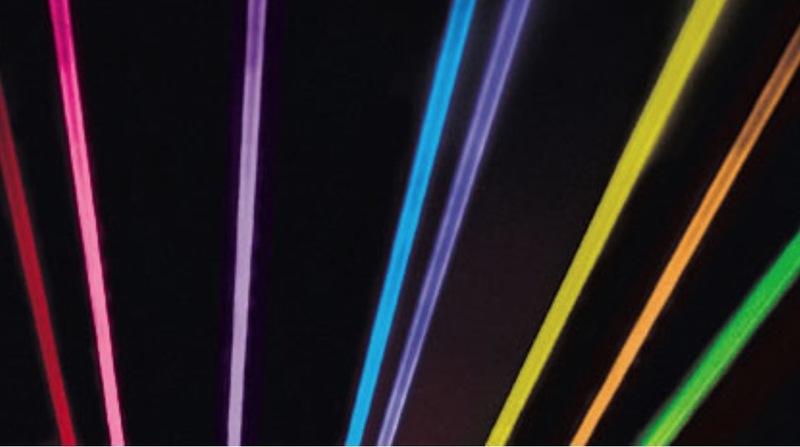 cell-substrate, nanoparticles, soft matter….) 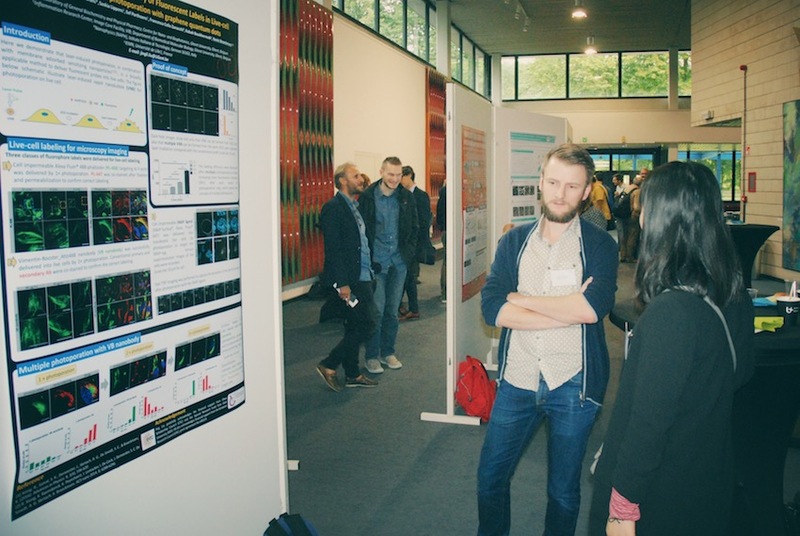 as well as the newest developments in microscopy for fuelling this growing research domain. 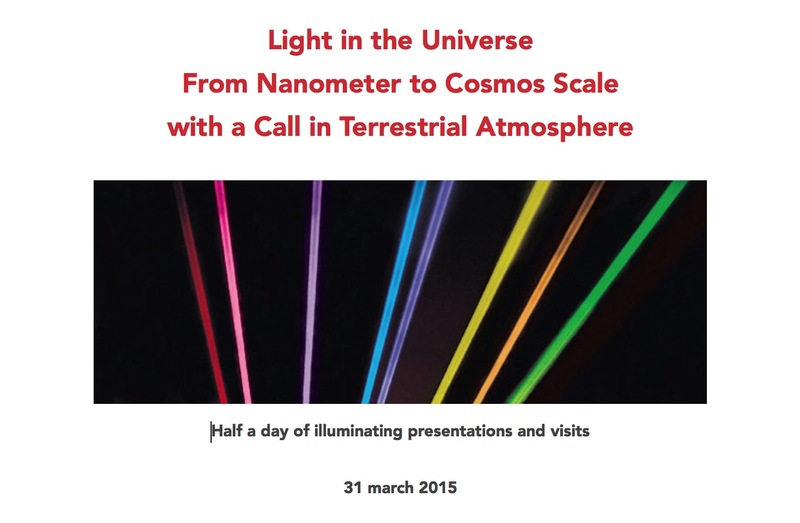 To celebrate the International Year of Light, BSM and Promoptica co-organize a special event entitled "Light in the Universe, From Nanometer to Cosmos Scale with a Call in Terrestrial Atmosphere", on March 31st, 2015 at the Belgian Institute for Space Aeronomy (Ukkel/Uccle).